To be completely honest: I didn’t want to spend my last few days in Mexico in Puerto Vallarta. I wanted to stay in San Pancho or in Sayulita, which are both smaller beach towns north of Puerto Vallarta, and where I had spent my birthday. But because the season was just about to start in San Pancho most cafes were still opening at unreliable hours (if it all), and I needed wifi to get work done. In Sayulita, there were a few places I knew I could work at (with okay wifi, but still not great speeds) but struggled to find decent accommodation. Since I had several deadlines looming over me, I decided to do what seemed the most reasonable: to return to Puerto Vallarta, which I knew had a much bigger selection of available accommodation and great wifi. As much as I loved the vibe in the smaller beach towns, sometimes the digital nomad has to put work first, especially after a slow month in November. And after a couple of days back in Puerto Vallarta I realized how much I actually liked the town that had seemed like a big resort town at first. Yes, there are casinos, golf clubs and cruise ships. Yes, there are giant all-inclusive resorts. But there’s also the Old Town, the Zona Romantica, with cobblestone streets, with ornate churches and bright pink bougainvillea trees that form a perfect contrast to the whitewashed colonial houses. And then there’s the dramatic backdrop: the lush green jungle-covered mountains that hug the Bahía de Banderas, the bay alongside which Puerto Vallarta stretches. I loved my morning runs on the Malecon, the wide promenade, which is lined with stunning bronze sculptures, and my explorations of the neighborhoods up in the hills, which offer jawdroppingly beautiful views over the city and the bay. 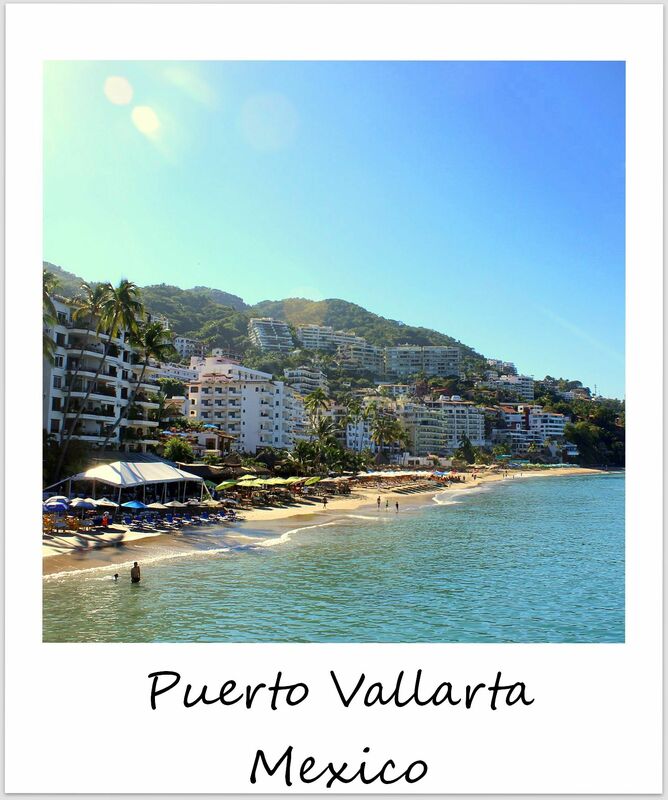 I loved the variety of cafes and restaurants and gay bars (albeit almost all of them being heavily men-focused) and even a microbrewery, and that on Playa de los Muertos, the southernmost beach of Puerto Vallarta, you can dine right in the sand. While Sayulita and San Pancho were smaller and more laid-back and I could still find completely deserted beaches there, I came to appreciate Puerto Vallarta in the end and boarded my flight knowing that I’d be back one day.